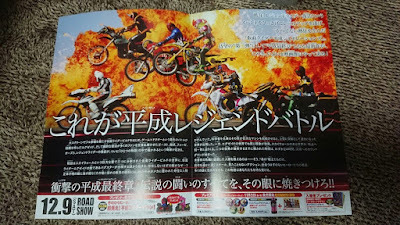 Thanks to a pamphlet that was given to fans and movie goers who bought the tickets in an earlier time, the plot for the Kamen Rider Heisei Generations FINAL movie has surfaced. The story takes place with the enemy, the Nebula Bugsters, invading the nation of Japan which was divided into three by the Sky Wall. 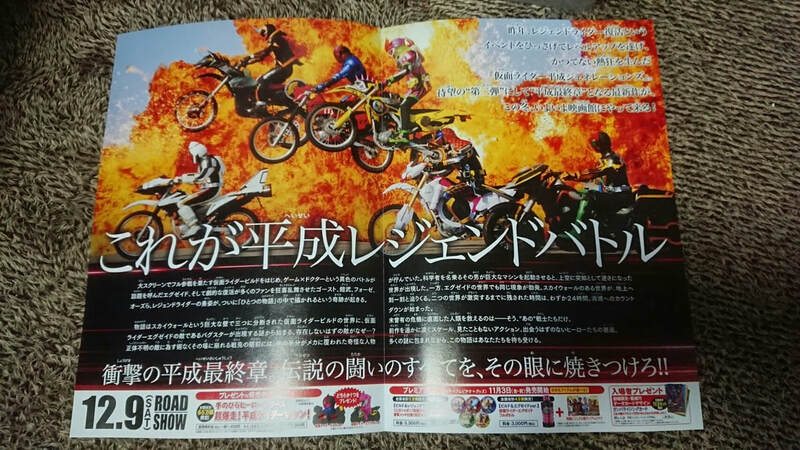 Sento and Ryuga tries to stop this new threat but failed when a half man, half machine scientist named Kaisei Mogami appears before them and activates a giant machine and suddenly, another world, EX-AID's world floats upside-down above them. Now, two worlds are bent on colliding together in a span of 24 hours and only the heroes of these worlds are the only hope for survival! decade's sea cucumber is the fault of this ,onore decadoh!!! !